Released in 1988, this often overlooked Chuck Norris thriller came out while his star was somewhat waning. Sure his films were still hitting theaters, but the quality of them was nothing compared to his mid 80's output with Cannon Films, and his ill-fated Karate Kommandos cartoon didn't last but 5 episodes. 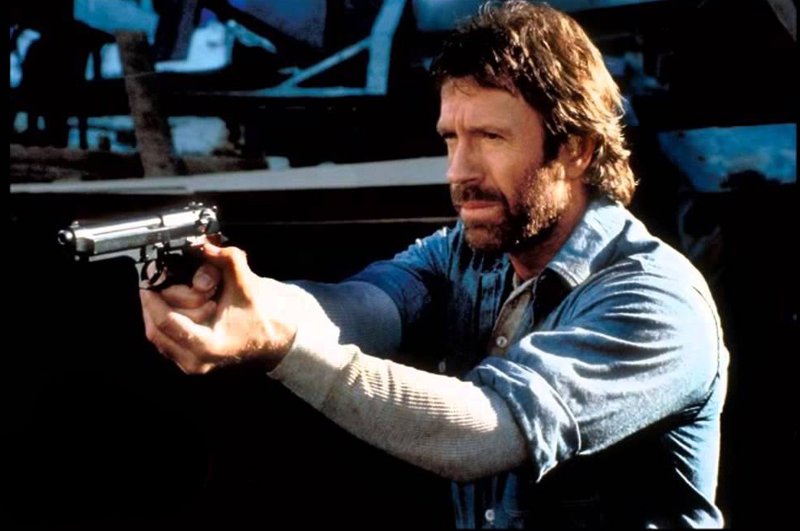 At times this thriller doesn't feel like a typical Norris film, yet at others it does, making it a unique entry in the Norris/Cannon Films years. But I've often found myself being drawn back to this for a revisit, which to me is a sign of a good film. Let's dig in. Based on the book of the same name, Norris plays Danny O'Brien, a cop who captured and locked up infamous serial killer Simon Moon, also known as The Terror (Jack O'Halloran). Years later Moon escapes prison and begins his reign of terror once again. O'Brien is immediately suspicious that this is the work of Moon and since he was the one who was able to capture him before, feels he should be the one to do it again. I think one of the most surprising aspects of this film is that there's virtually no action or thrills in this.....at all. 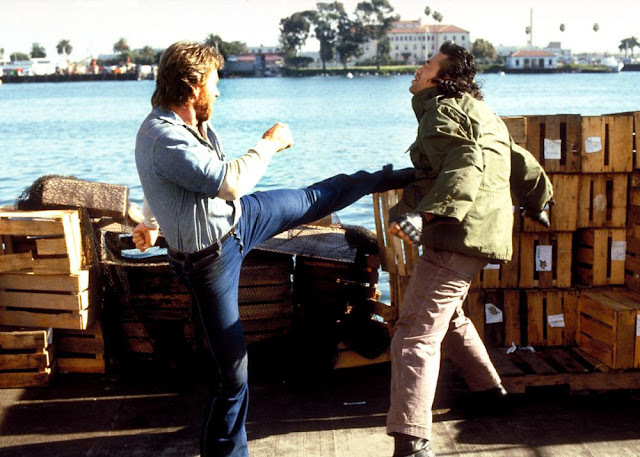 There's a quick foot chase in the beginning, and then the showdown between Simon Moon and O'Brien (Norris) at the end, but the remainder of the film is virtually action-free. Instead we're treated to more of a procedural cop/thriller with ample amounts of suspense, as well as O'Brien's personal life, where he's dealing with a very pregnant girlfriend who's due to give birth at any moment, and the idea of marriage hanging over them. Still, that doesn't take away from the films enjoyment in the least. The film plays strongly as a cop/serial killer thriller and it does so by offering up some slick direction courtesy of William Tannen (Deadly Illusion, Flashpoint), and a strong "better than it needs to be" score by David Michael Frank (Hard to Kill, Out for Justice, Showdown in Little Tokyo). Seriously, the score is fantastic and makes the film appear bigger than it really is. Despite it not being terribly exciting, it still finds ways to entertain. For instance, there's a pretty long sequence of Chuck Norris working out in a gym. It adds nothing to the movie's narrative per say, but it's a badass sequence that shows off Norris' impressive physique, usually covered in the film under layers of clothes and jackets. 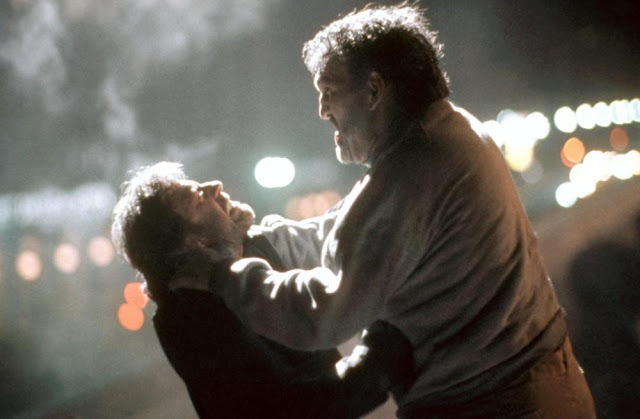 It also boasts a pretty killer supporting cast with Jack O'Halloran (Superman II) as the serial killer who is only ever shown in silhouette or shadows (a great decision that's incredibly effective) until the very end, making him to appear more monster-like, especially since he doesn't talk either. And then there's a criminally underused Steve James, here as a fellow cop who kind of shows up for very brief moments before disappearing. It's a travesty and no way to treat such a legend. Why they didn't just cast him as O'Brien's partner I'll never understand. At least that no-name actor had a bigger part than James. While we're on the subject, the always reliable Billy Drago also shows up in here, albeit in a very minor role as Simon Moon's therapist. Just like with Steve James, he also feels a bit wasted here. Great cast for sure, it's just a shame James and Drago couldn't do more in this. Hero and the Terror is a criminally overlooked gem. I strongly feel that it's one of his best films under the Cannon logo, even if it's not necessarily the standard action-oriented type of Norris film that we've come to expect. Yet, despite the fact that there isn't any action, the constant tension and suspense build up nicely to a very satisfying third act where our "Hero" and "The Terror" meet one final time. The slick visuals are a plus and Norris easily hands in one of his best performances to date. It may not be the most exciting film in his filmography, but when he's turned in so many turds, the good ones tend to stand out, and this is definitely one of his best. My only real complaints are that Steve James was so criminally underused here, and sometimes it felt like the film spent too much time on O'Brien's personal life, namely his emotional wife and their issues, where it doesn't lead anywhere. You would think that with all the time they spend on O'Brien and his wife, who's just about to give birth and in the process of moving in together, that she would have been victim to Simon Moon at some point, or used as a pawn to get to O'Brien. Yet she doesn't, and ultimately it's just a tedious subplot that leads nowhere. 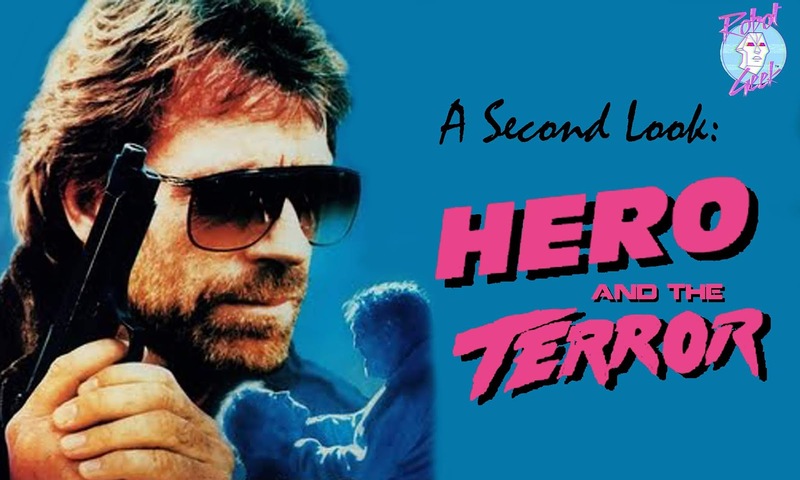 Minor issues aside, Hero and the Terror, while not great or anything special, is a serviceable and slickly made thriller that tends to get overlooked, when the reality is that it's a pretty entertaining thriller with a bigger production value than most other Norris films from around this time. I find myself revisiting this every few years and if that's any indication, then maybe you should too.